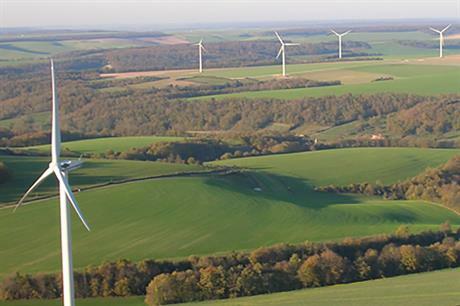 FRANCE: Utility Engie has issued a green hybrid bond to fund renewable energy or energy efficiency projects, as well as research and development investment in these areas. The €1 billion bond, with an interest rate of 1.375% and cannot be called until April 2023, the utility stated. As a subordinated perpetual bond, it would continually pay interest until bought back. It is intended to replace two other bonds: one worth €600 million and another worth €300 million. Engie said it was taking advantage of "attractive market conditions". The bond has been rated Baa1, BBB and BBB+ from Moody’s, S&P and Fitch respectively. Engie has stakes in the Dieppe-Le Tréport and Les Iles d’Yeu Noirmoutier offshore wind projects due to bebuilt off the coast of France, the 950MW Moray East project, planned for a site off the Scottish east coast. It also owns and develops onshore wind and solar projects worldwide. The group is already France's market leader, with 1.77GW of installed capacity, which it aims to grow to around 3GW by 2021.